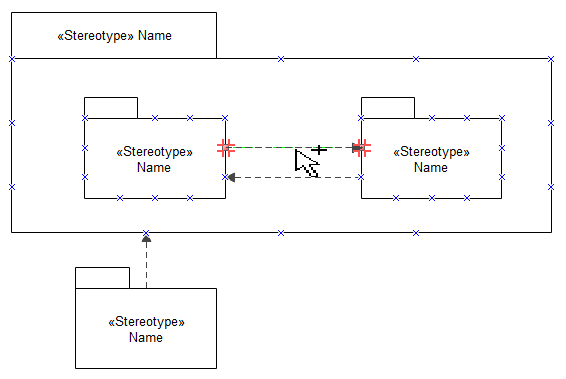 UML Package Diagrams are constructs that help you organize model elements into groups. They can group together elements that are related. This article will show you how to create one easily and quickly. A UML Collaboration diagram, can show both structure and dependencies between sub-systems or modules in a system. Elements of a package are all package-able. All elements contained in a package will be removed from a system if the package is removed. Package itself can also been as a package-able element, so a package could also be a member of other packages. A package can import one member of other packages or all the members of other packages. Package can also be merged with other packages. A package is represented by a rectangle with a small tab on the left side of the top of the rectangle. If the members of the package are not inside the package, then place the name of the package inside. When the members of the package shown within the package, the name of the package should be placed in the tab on the top. Members of the package can be shown placed of the package connected by arrows that indicate dependency. Following is a step by step tutorial about how to create UML Package diagram with a professional UML Diagramming Tool. 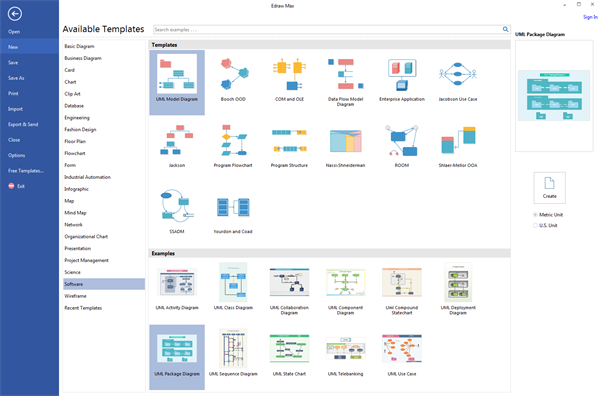 With the help of this powerful UML Diagramming Tool, you will find it not difficult at all to create a UML package diagram at all, its various built-in shapes and convenient smart connectors enables you to get started. Go to File menu > New > Software > UML Model Diagram > UML Package Diagram, and then double click the icon to open the template then customize your own, or double click click on UML Model Diagram to open a new drawing page for your UML Package Diagram. Drag and drop shapes from the library on the left. Rulers and connecting dots will automatically appear on the shapes, all you need to do is to adjust the position and Edraw will tell you whether it is in the right position or not. As one of the greatest features of this UML diagramming tool, it will greatly increase your efficiency. Ues arrows to connect the shapes together. Again, the connection dots and rulers will help you find the right place to connect shapes. Make sure your UML Package Diagram is logical. Double click the shape and type in the text. The size, color and position of the shapes are editable as well. This is the final step of constructing your UML collaboration diagram, make sure it is logical and easy to follow. 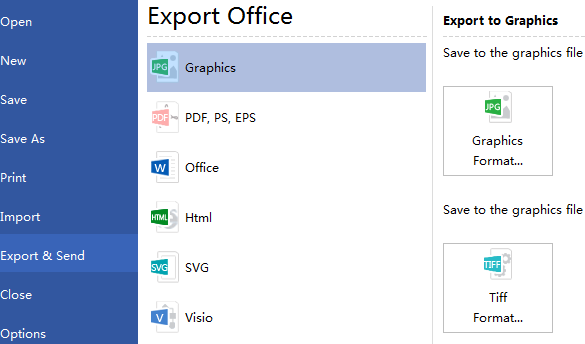 Under the "File" tab, hit "Save" to save your UML Package diagram as the default format .eddx, or click on "Save as" under "File" tab to save as other formats. 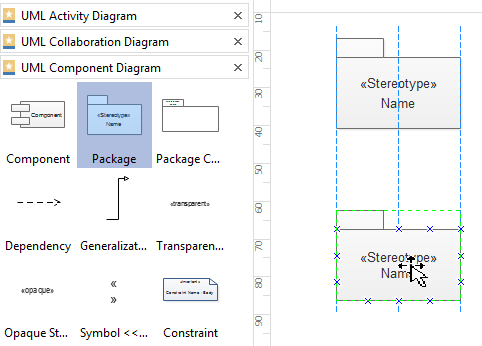 Click "Export & Send" under "File" tab to export the UML Package diagram to other formats including PowerPoint, JPG, PDF and so on. 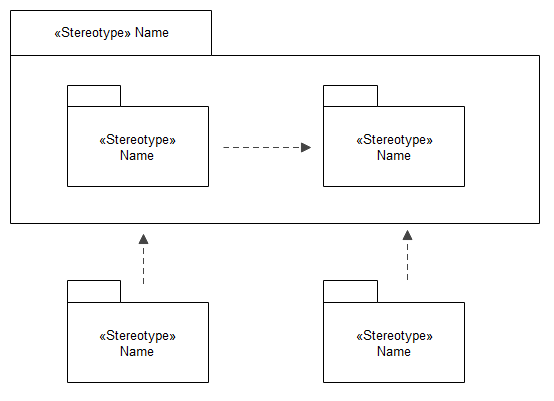 Here are more templates for UML Package Diagram. All templates on Edraw are available for free download and customize.